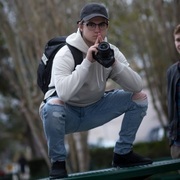 The team was inspired by the terrifying story of a mother discovering her young daughter's web camera was being leaked to thousands of anonymous people. 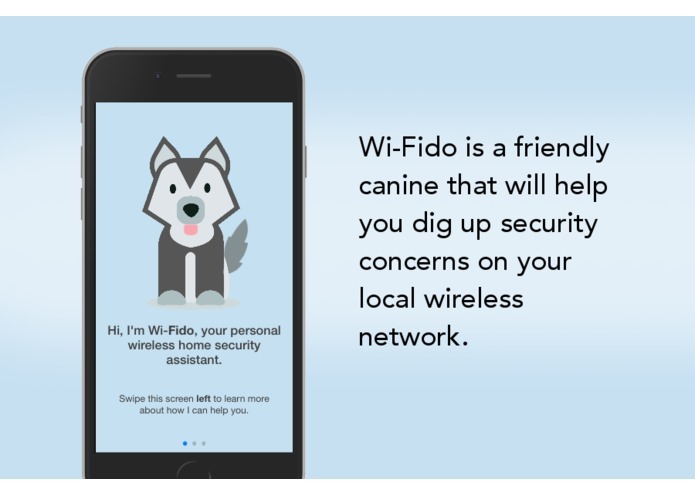 Wi-Fido (a pun on "Wi-fi" and a traditional name for a four legged friend) is an all-in-one software and hardware solution to securing your home wireless network. Enhanced security of your network devices isn't just for enterprise offices - and you shouldn't need a whole IT department to understand it, either. 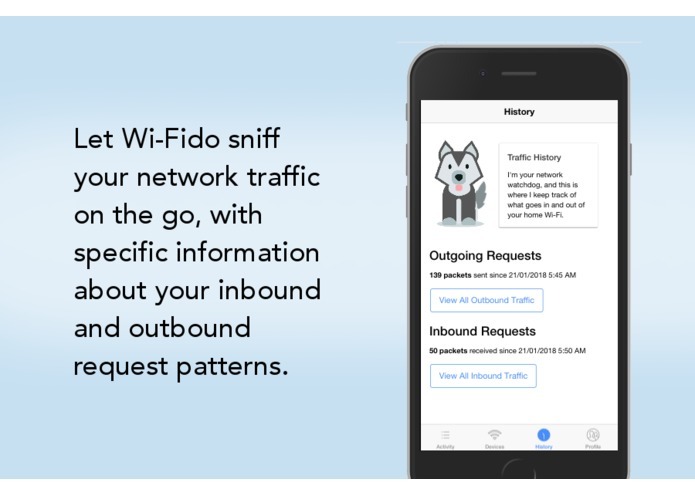 Wi-Fido will monitor the network traffic in and out of your home and scale back traffic to devices that are transferring a lot of data out of your home - which may indicate a potential security vulnerability in a networked IoT (Internet of Things) device or an intruder attempting to make you the victim from the outside. 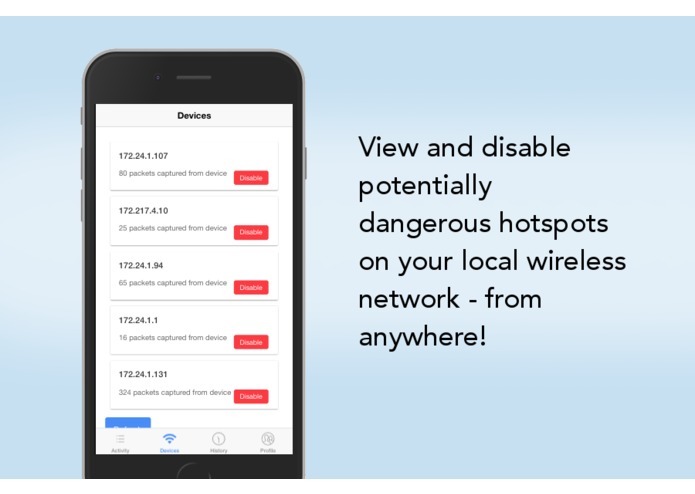 This solution has two key components: a hardware network adapter and a mobile application, designed to work hand-in-hand to deliver a top-notch user friendly information security experience. The hardware network adapter is built on a Raspberry Pi Zero W, and serves as the bridge between the local network and the world wide web. The mobile application is built with Ionic, and consumes information from a Firebase API through Heroku. One of the goals from the beginning of the project was to the create most realistic environment possible even though we were restricted with certain network restrictions. 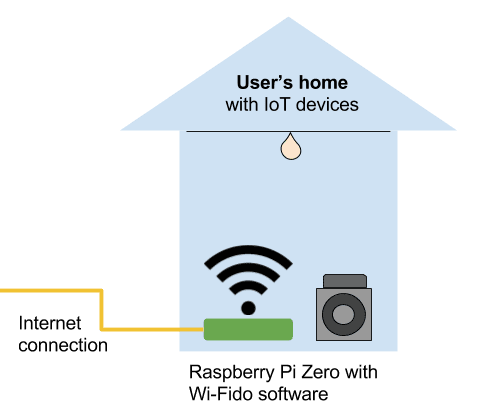 One of the biggest problems we ran into was setting up our Raspberry-Pi Zero W to act as an actual WiFi router that was connected to the internet for the purpose of retrieving the outgoing packets. Additionally, coming up with an appropriate system for storing and receiving the packets data for later analysis introduced some difficulties. We are extremely proud that all of the packets being used are 100% not simulated. The group was able to secure all of the live data coming from the devices that were set up behind our private network. We are also extremely proud of our mobile app that acts as a controller for the entire system. We learned how to network a variety of devices on a local network using a Raspberry Pi board as the primary interface. We all learned a lot more about how internet traffic is maintained on a local network and how that translates to communication with sites and servers on the world wide web. 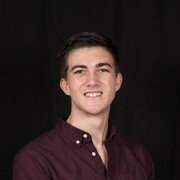 Python Wrangler, Flask Master, and comedic relief. Back-end API integration and firebase.